Your free, no obligation quote starts with a call to (877) 373-0109. 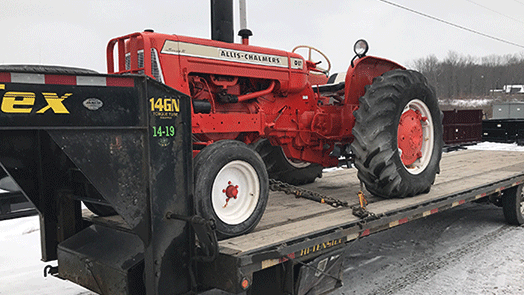 The Tractor Transport logistics specialists will plan your route, taking into account how many items need to be moved and the best roads to get from start to finish. We handle all the paperwork for weigh stations, permits, customs, and anything else that your shipment will need. Your timeline is taken into account, as we understand the moving quickly is important. Once we reach your destination, you check your inventory against the list. We can help with unloading and reassembly where needed. 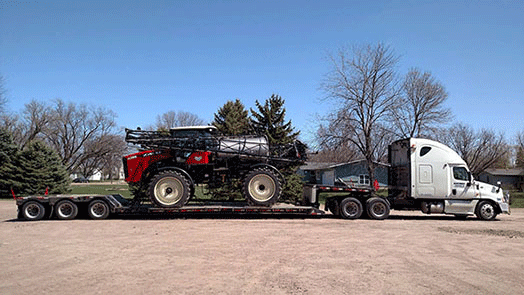 Don't wait – call Tractor Transport today (877) 373-0109 for your farming and agricultural equipment transport needs! 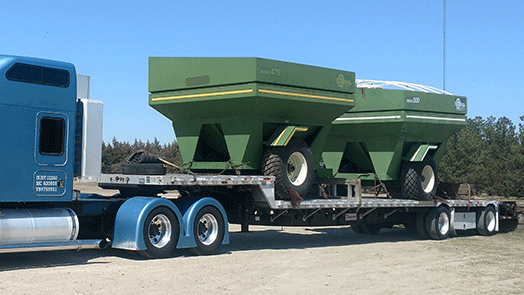 From tractors to grain elevators, Tractor Transport helps you get your machinery in place before the busy seasons start. 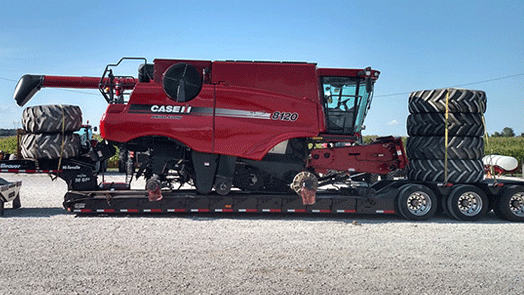 We understand that time is money, and you can't afford to miss opportunities while your equipment is in transit. 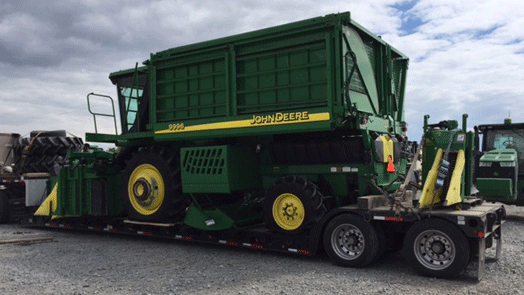 Tractor Transport has successfully shipped hundreds of pieces of complicated agricultural equipment, working only with reliable haulers. 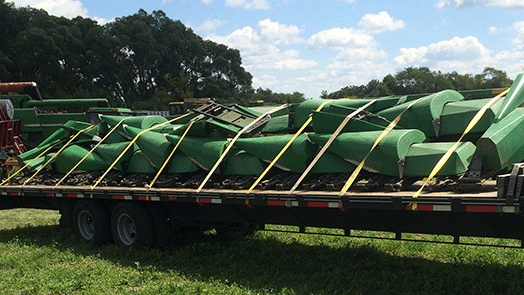 Our shipping equipment can range from covered trucks for delicate pieces to standard flatbeds for most tractors. 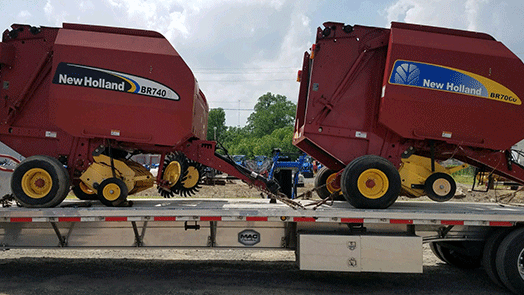 For the larger, multi-row field equipment, there are twenty axle HD trailers for the largest pieces, including grapple rakes and transplanters. Each one is thoroughly inspected, certified for the appropriate weight load, and fully bonded and insured. 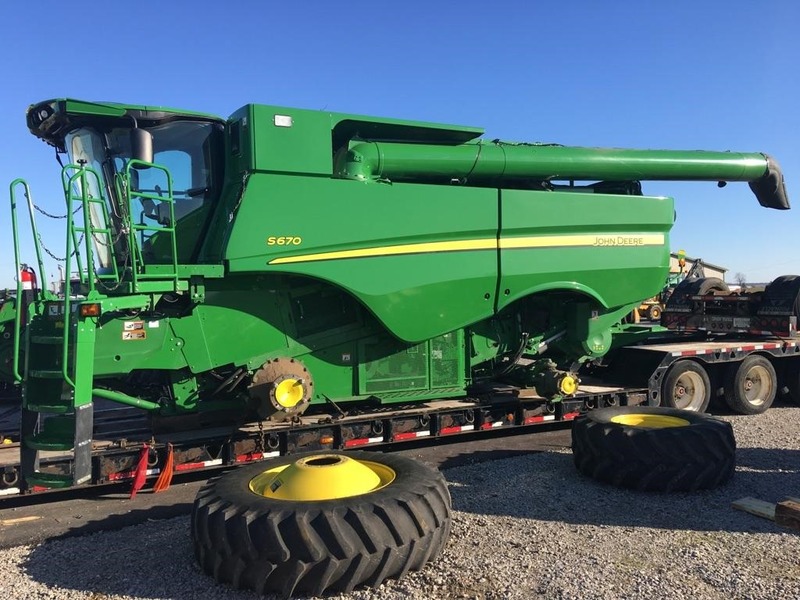 Agricultural and farming equipment covers a wide span of machinery. 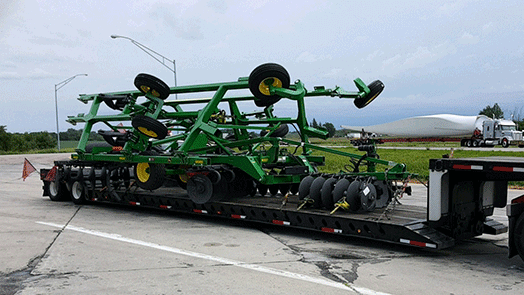 Tractor Transport moves everything from row furrowing equipment to harvesting gear. Moving into planted or undeveloped rural locations can be challenging. Many larger farms have small access roads that are dirt or gravel – and even paved roads may not be in the best condition. The experienced drivers from Tractor Transport have plenty of training navigating heavy loads across rough terrain, even in the frigid areas of Alaska and Canada. Our careful planning includes plotting the best rigs and trailers to access your location while keeping an eye on the weather and road conditions. 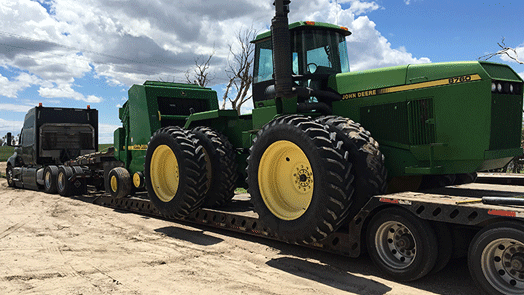 Tractor Transport can also help move and relocate farming irrigation equipment, including pumps to source groundwater in each area and heavy-duty hoses and specialized gear to get water fast where you need it. Our transport services also include covered transport for engines, to protect the sensitive parts. We've moved everything from pressure regulator and Capristo pumps to irrometers, canon irrigation, cam-lock, and Berkeley pumps. We can even move backhoes and excavating equipment for installing irrigation and pipes to new fields.